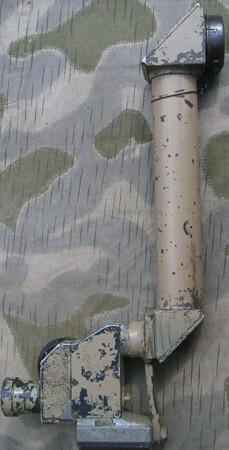 This optic was used on the machinegun MG 08, which was first introduced in World War I and was still in use in many German defence lines in the 1930s. This one was made by Busch. 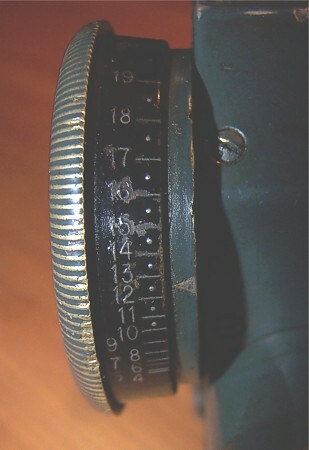 The optical value is 2,5x20. This knob corrected the distance by leveling the reticles arrow. The scale is in hm, so times 100 meter. 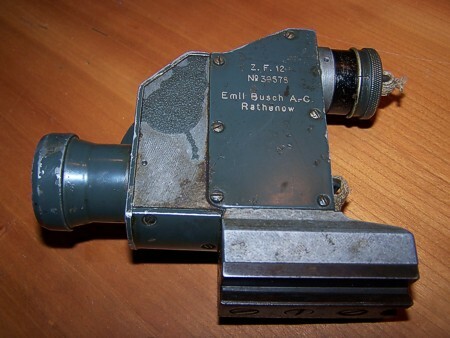 This one, with an extension tube, was found on Ebay.